Sarah's Birthday Card- A Little Cupcake Madness! Ok, color is a little too intense in the photo! The frosting is really Passion Pink, and the popped up flowers are Pixie Pink and So Saffron. I have been wanting to make a cupcake card for ages now and this is my first one! Not perfect, but a start. I grabbed a scrap of cheerful DP and ran it through my crimper to make it look like a cupcake paper cup. Ran some Passion Pink paper through my Cuttlebug with the D'Vine Swirls embossing folder and glued it all to my Pixie Pink card base. The Whole card is a almost 5" square, a little taller than wide. The sprinkles are Fruit Punch Stickles. Yes, It's only half SU! but I have to use my contraband sometime! The sentiment and the little birthday cakes are from One Smart Cookie, which was in the mini this summer, but made it to the Fall/Winter Catty! Also used the Daisy punch and the Boho Blossoms punch. I hope she looks at it for more than 2 seconds before moving on to the next great thing ;) But she is only turning 6. I'm pretty sure 6 year olds don't care about cxards, just what's in them and what they get for presents! I needed to make my brother a birthday card today, and I was inspired to CASE this wonderful card by BrandiP at SCS! Everything I used was SU except for the DP, which is DCWV Summer Stack from last year I think. We won't go into how many Stack Packs I have...really we won't! I just hope my brother realizes there are 3, count em, 3 , flaps to unfold! I know, I went overboard, what can I say! This is a 5x5" card- Pacific Point base 5x10" the scored in the middle and folded over. Edges inked with same color as paper. The Barely Banana layer is 4 5/8" square, stamped with BB ink and the Sun stamp from Life's a Breeze. Edges distressed with tool from Cutter kit, then inked with BB ink. The Wild Wasabi layer is 4 1/4 x 8 1/2" square, scored in half, then trimmed from fold line to opposite corner on one half. Used CELEBRATE and YOUR DAY stamps from Celebrate Everything set and a tar from Starstruck set with WW ink and stamped all over inside full square area. Edges inked with WW. Cut a 4" square of DP, then cut that in half diagonally and glued to both sides of the triangle flap of WW. Wrapped Very Vanilla taffeta ribbon around triangle flap and tied a knot. Took Small piece of WW double stitched ribbon and tied that over the first knot. The Pacific Point inner layer is 3 1/2 x 7" scored in the middle and folded in half. Stamped one of the many little star stamps from Starstruck stamp set over front and top of inside fold in PP ink. Inked edges with PP ink. Cut out a 2 1/8" circle of BB, used Large Star punch with WW, and Small Star punch with PP. Inked edges of WW star with Garden Green marker, edges of PP star with Night of Navy marker, and circle with Apricot Appeal marker. Used Crop-A-Dile to attach stars with Antique Brass jumbo and regular brads. Stamped Birthday hugs and wishes from Hugs & Wishes set inside small PP "card" . Used dimensionals to attach circle to front of small PP "card" after adhering all the layers together. Used white gel pen to dot outside edge and inside the card base. Stamped the Happiness stamp from Heard from the Heart set-new set coming in F/W catty! and more stars from Starstruck! This is the first flap, and let me tell you, that fold on the ribbon to make it lay flat on the front, was a little tricky! I also don't use jumbo brads on cards very often, feels wasteful. Usually use them for home decor and scrapbook pages. But this is for a special guy, so I splurged! We can write a quick smarty pants remark in here. My brother is the BIGGEST smarta$$ in the world! I kid you not!!! And we can all sign the inside and put personal notes to him on the inside. There are 6 of us that need to sign this! Now I just need to do a FAB card for his daughter, whose birthday is the day after his! And I need to do it today, cuz I work the next 8 out of 9 days! Ugh! But then I get a week off, yippee! And I will only have to use 12 hours of vacation time! Ok, I don't do color challenges very often, but I was feeling guilty about how I have been wasting my precious time off by just stalking the SU Convention threads! So I decided to do a NAC (Not Attending Convention) challenge posted on the demo side at SCS. The challenge was to use SO Saffron, More Mustard, and Tempting Turquoise. And this is what I came up with. It's growing on me, but definitely not my best work, LOL! first I stamped the butterfly in all the colors on So Saffron paper, distressed the edges, and inked the edges of More Mustard card base and So Saffron piece with More Mustard ink. Then I stamped the sentiment on So Saffron and matted with the other 2 colors. Then I stamped the butterfly in More Mustard on So Saffron and cut it out. Used 2 way glue pen to add Dazzling Diamonds to the wings and antenna, then popped it up on corner of sentiment . This is the little kit I put together to give my Club members with their new catalogs when they get here. I used the new In-Colors ink to stamp on labels, then punched them out with the Round Tab punch-these are to put tabs on the different categories in the catty. A highlighter to mark the stuff you already have, mini Post-It page markers for all the stuff you want, a notepad decorated with the new Designer Paper- Bella Rose- to write your wish list in, and a lip balm decorated with the Bella Rose paper just cuz it is so cute! Who can't use lip balm anyway?! To my Stamp Club girls- I am going to get my catalog spiral bound again, and I can do yours too, if you don't mind paying $5 for the binding-the catalog itself will still be free :) Just let me know! I hope to have the catties in a week or so. We can hope anyway! Starts today! And the sneak peeks are flowing! Here are some of the blogs posting peeks of the new catalog and stuff from convention Bevithia's blog , Sharon Bridwell , Kerin Sylvester , Linda Heller , Kristins Stamps , Kristina Werner , and Star of May . Hope you enjoy stalking the peeks! My hubby, youngest son, and I went fishing yesterday afternoon and had a great time. We just don't do that often enough. The really cool part was my hubby said "You want to go fishing?" at 5:55pm and by 6:10pm we were in the boat out on the water, and no- I don't live on a lake! We live within 5 minutes of about 4 public accesses to 4 different lakes. Plus there are about 7 more lakes within 10 minutes of us, some with public accesses and some without. And how often do I actually get out on the lake? About 3 times a summer. Ridiculous right?! I also had to make a birthday card for my stepfather-in-law to send out that morning and he loves to fish and works for Crestliner, a big boat manufacturer. So I decided to do a fishing theme, AGAIN! I also wanted to do the emerging colors technique with a masculine theme, so I stamped the fish from Angler in 3 colors on Whisper White, then used Print Pattern BG to stamp with Versamark, then embossed that with clear EP. Then brayed with Blue Bayou ink, and wiped the excess ink off the embossed parts. I think I also embossed the boat silhouette image in white on Blue Bayou paper, matted that and centered it on the card. I hurried up, found a good poem for the inside, had everyone sign it and put it in the mailbox and forgot to take a picture! Ugh! So I decided to play with it again today and this is what I came up with. I took this one a step further and made my own striped paper in coordinating colors. I've been playing with the grid technique this weekend and I must say, I like it best so far as a simple texture. I made another card with sponging and background images over the grid, and I really didn't like it, but it could have been just a dud card, you know what I mean! For this card, I wanted to try my watercolor pencils on a colored paper and see if the white popped enough to make it worth it. I think it worked well, although my coloring is not the best. There are some real artists out there when it comes to coloring, and I'm not one of them! LOL! My little brother, Steven, turns 21 on July 28th! I can hardly believe it! I had forgotten to get a card done for him earlier than this, it is getting close! If I mail it in the morning it should still get to him in time, I hope :) Steven is a pretty special guy. Everyone who meets him loves him, and he has such a charming smile! I have been dying to use this set ever since I got it, but my teens think it is So Lame, not So Cool, LOL! However my 12 year old boy thinks it is So Cool, so there is still hope. And of course I still have all of the teen pages I will be doing....sometime....I have got to get back to my scrapbooking! I used the Faux Metal technique for the silver rivets in the corners. This is embossing with silver EP on Brushed Silver cardstock, then cutting out. Super easy and looks great! I also used an oldie but a goodie retired background stamp- Just Jeans- I couldn't resist! This is Steven in 2006 on Cass Lake while we were fishing on vacation. He was doing this goofy grin all the time that year! And this is at his graduation ceremony in 2007! What a handsome dude! He got a standing ovation when they handed him his diploma...it was a tear jerker! His whole class had kind of adopted him and treated him very well. It just warms my heart since I grew up in the same town and know how cruel people can be! Here is a quick card I did this morning with the Grid Technique from the SCS resources tutorials. I don't have a Scor-Pal, so I just used my scoring blade and paper cutter and I think it turned out well! It was a little tricky though ;) I also used my markers to ink the Flower stamp. I have been hoarding the Apple Cider SU patterned paper since last November, and I am going to try to use it up before it isn't so appealing to me anymore, like when all of the new paper comes out with the NEW CATTY on Aug 11th! I can't give a step by step today cuz while making a pointless trip to work yesterday to renew my CPR training (which is actually next week *blush*) and wasting $10 in gas, I also ran over a great big staple and have to go get the 2 new tires NOW instead of in September when I planned on getting them! Argh! Anyway.... life goes on. Here are the other colors I have done with the Black Magic technique, I even used the new In-Color Pacific Point- the vivid Blue! These were the colors that matched the Pure Color pencils the best. There are others too, but I only needed 6, I thought, LOL! You can find my Black Magic tutorial here . I posted this link in earlier post also. I think these colors are great, how about you! You can see close-up shots of each color in my SCS gallery. We did these at Stamp Club. I wanted everyone to have a different color so they wouldn't have to wait for a Pure Color pencil, but there were a couple people who had to wait anyway. It was a kind of good plan, just needed more colors! I left the sentiment spot blank for my samples and let everyone chose what they wanted to put there. I also found that the Fine Cosmo glitters match several colors and look great in this technique! So, someone at work asked me to make them a baby shower card in Pink Passion and Black as those are the Mother-To-Be's favorites. This is what I finally came up with and like most things for me, it just evolved all one it's own! I stamped Print Pattern BG in Pixie pink on the card base, then used the Nursery Letters JW in Going Gray over that. Used white gel pen to put dots where the diamond points meet. Stamped the Sweet One image from So Many Scallops 3 times, once with Versamark on Basic Black, in Black on Pink Passion, and Basic Gray on Whisper White. Used white Ep on the black layer and punched image out with Scallop Circle punch. Cut out the other layers as pictures and glued them all together. Used the new Scallop Edge punch to make white rick-rack and layered on black paper. Glued to card base. Stamped Chick and Star from Nursery Necessities in Passion Pink on white. Used Cuttlebug and Nestabilities to cut the layers for the Star and Chick elements. Glued together. Used white gel pen to put white dots in scallops. Used dimensional to pop up the Sweet One scallop in center of card, then glued other 2 images to card. This looks like a Rock & Roll baby card to me, it's cute and hip, and my teenage daughter and her friend really liked it! I made this card for my hubby for our 18th wedding anniversary back in June, and he must have really liked it cuz it has sat on the counter next to his laptop since then, *blush* thus the grease stains on the edge and water dripped in the center.... Anyhow! It is a simple card and I used my Cuttlebug with the Hearts folder to emboss the piece of Wild Wasabi on the left. The base is Garden Green, don't the greens go well together?! Sorry I haven't posted in a couple days, I have been working, as I mentioned in the previous post. I thought I would do a quick post this morning before work though! This a simple page we did for Club that I think is great for a variety of photos and situations, and for all of those odds and ends pictures we all have. It also uses 2 retiring sets, which was my goal at Club this time...kind of a "Retiring Party" LOL! You can find the printable instruction sheet here. My daughter took all of these wonderful photos, isn't she great?! Accessories: 1 1/4" Circle and Scallop Edge punches-preview item! Ok, ladies, today is the day, and I thought it was the day the retiring accessories list same out. Nope, got my dates mixed up! That comes out on Monday July 21. Oh, well! I have 2 projects planned for club and need to come up with 2 more, but I have put so many limits on myself, I am having trouble coming up with something! Ok, now I need to stop procrastinating and go DO SOMETHING about it, LOL! In the mean time, take a gander at the card I made for the Grandpas for Father's Day. I wanted striped paper in these colors and didn't have any. So I used the SAMJ and the All In A Row stamp set to make the stripes....for THREE cards! My hubby thought I was crazy! Ok, I am but hey, it turned out great! Don't forget, the All in a Row set is retiring soon, so grab it if ya gotta have it! The bird and the turtle are also from a retiring set- Wildlife Reserve. I just got that set and it went on the retiring list! Glad I got it though, I will still use it alot. If you want details on how to do this, leave a comment and if enough people want them, I'll do up some instrutions. Thanks for looking! Here is another Black Magic card. I just love this technique! I used my Watercolor Pencils for this card, nut when the humidity is up, the white gel pen ink picks up color from the pencil marks.. sounds cool, but it isn't the look I am going for here! here is a link to a printable instruction sheet for this technique. I made this card about a week ago. I had a hankerin to use some of my soon to be retired stuff! Everything except the gel pen, and the eyelets used on this card is retiring! I did use my Cuttlebug with the square Nesties to make the scalloped and embossed panel. I am going to ask that anyone who can send her a card, she loves to get cards from all over, it really cheers her up! If you would like to see more of her story go to this link and if you want the current address to send cards go to post #61 . Thanks to all of you who have already sent cards to her! This is the card I made for my kids to give to my hubby for his birthday, back in May! Can't believe I am posting this now.... Oh well! 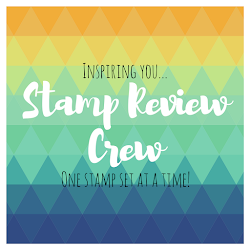 I was inspired by a card in the Spring/Summer catalog for Stampin Up! . I think it turned out good, and the hubby liked it. I mean, he saved it didn't he, LOL! I took this picture on Wednesday, I think. I embossed all of the stamped images. The white ones I used Versamark and white EP , the colored ones I inked the stamp with Versamark, then with the colored ink, stamped the image, then embossed with clear EP. Cool huh! I am going down to Minneapolis to see Tanya Tix, Ariel's mom. Nancy and I, another mutual friend (we all went to RN school together), are going to get Tanya out for some R&R. She spends 24 hours a day at her daughter's bedside. Her husband is going down to the hospital around noon on Saturday to take over for a couple days. If you are reading about Ariel for the first time here, you get the full story on a thread on posted at SCS here. That's all for now! Hopefully I'll be posting more again in a day or two before I have to go back to work! Ink pads of your choice- Pixie Pink, Pretty in Pink, Only Orange, Yo Yo Yellow, Green Galore, and Gable Green used here. Embellishments of your choice- 2 way glue pen, Dazzling Diamonds glitter, Scallop circle & 5-Petal flower punches, CAD, and Pewter jumbo eyelets used here. With the 4 ¼”x11” piece of CS, Score along long edge at 1”, 2 ¾”, 3 ¾”, & 5 ½”. Then flip to other end and score at 1”, 2 ¾”, and 3 ¾” again. The 5 ½” line is already scored. Now line up the 5 ½” scored line with the cutting line in your paper cutter. After you have decorated all of your pieces, assembled the matted panels, folded all score line and creased with bone folder; put glue or Sticky Strip on the “front” side of the 1” flaps on each end. Slip the top of the large panel through the slit cut in the 5 ½” score line. Line bottom of panel up with edge of folded up 1” flap and then fold main piece in half, matching bottom edges up to be adhered to each other. Take your small panel and line it up on the 1” section on the front of the card so it is placed where you want it. Then apply glue JUST IN THE 1” SECTION. Adhere you smallest panel. Now to open your card, push down on the top fold and it turns into a Stand-up Card! Ok, so after I got home from work at 9:30am today, and slept for 4 hours.... I decided to have a go at getting a good card out to Ariel. I was cruising on SCS ( http://www.splitcoaststampers.com/ ) and found this card by calex (SCS name) and thought it was an adorable technique! 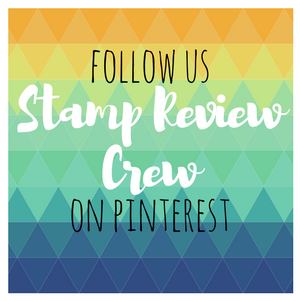 So I hunted down the instructions here at Dawn's Stampin Studio. She has some really good video tutorials there! I just finished a printable tutorial and I will try to figure out how to post them! Here is a more frontal view, The color is not as good on this one. Just as I was taking pictures, a big rainstorm hit and my lighting wasn't so great, sorry! You can't see it here but I put Dazzling Diamonds on the flowers and the butterflies, and it looks so glittery! Here is a card done using the Black Magic technique, which we will be doing at our next stamp club meeting! I got my Pure Color pencils from SU yesterday! Woo-hoo! This was done using the Fabulous Flowers set and I just love this technique, can't wait to show it to you all. I will post a tutorial after we do this in class! Stay tuned for more exciting stuff! I have shared the story of my friend Tanya's daughter Ariel. She has cancer and is just finished with her 3rd round of chemo yesterday, and will have a stem cell transplant tomorrow. 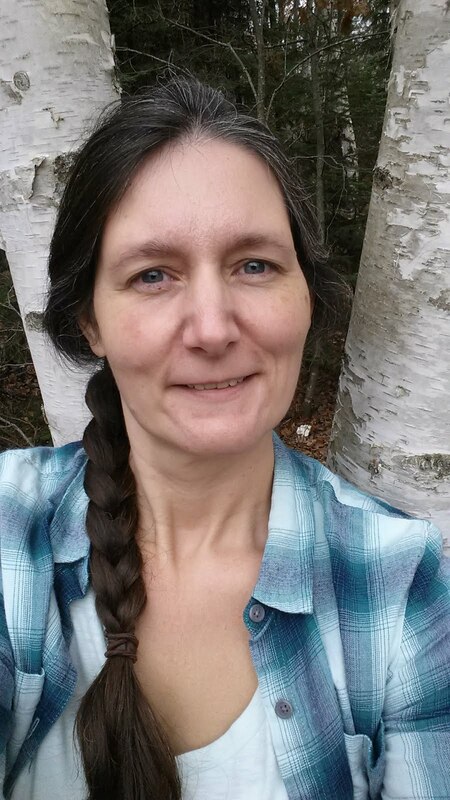 She is having a tough time lately, and I had started a Rak (Random Act of Kindness) request here and you can read the details. This is the rather lame card I made for her. She loves butterflies, squirrels, cats, and weiner dogs. I wanted to make a quick butterfly card for her today to send to her,I'm supposed to be sleeping now so I can work #5 out of 5 shifts- I worked days for the first 4 and I work nights tonight, so I won't have time again until tomorrow! Tanya had texted me on Sunday asking that I get my stampin friends to send her some more cards to help cheer her up. Ariel really loves getting the wonderful handmade cards from people all over the world, and from close to home! If anybody reading this wants to send her a card, the address is listed in post #61 in the above link. To me at least! I found an example of these at splitcoaststampers.com in the gallery by kaloso05 here and had to make some my self, they are so cool! I needed to make a special birthday card for a friend and thought this would be perfect. The original sample I saw was of flowers, and I made one for my Mom's birthday, way late by the way, because she needs help with her garden and I haven't been able to get down there to help her, so I thought I would send her a little garden instead. Here is a view of it from the front and open, I just love the tiers of images! And this is the front view closed. This would be a fun project for club, but a little time consuming with all the stamping and stuff. Heck, who am I kidding! I do that to you guys all the time don't I! I'll do a tutorial after we make it at club.